A £12 million flagship new dealer for Jaguar Land Rover alongside the A40 in West London has been officially opened by explorers Sir Ranulph Fiennes and Monty Halls. The new Lookers Jaguar Land Rover West London dealer is the first new-look Jaguar Land Rover dealer to open in the UK: over the next few years, all Jaguar and Land Rover dealers will look like this. JLR calls it the ARCH look, consisting of a sharp, clean, modern look. 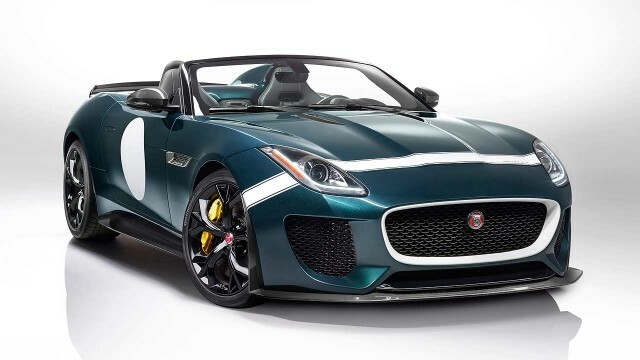 It’s part of the firm’s plan to combine Jaguar and Land Rover dealers into one outlet – and there’s £1 billion of investment going into 1,800 retailers across the globe deliver. 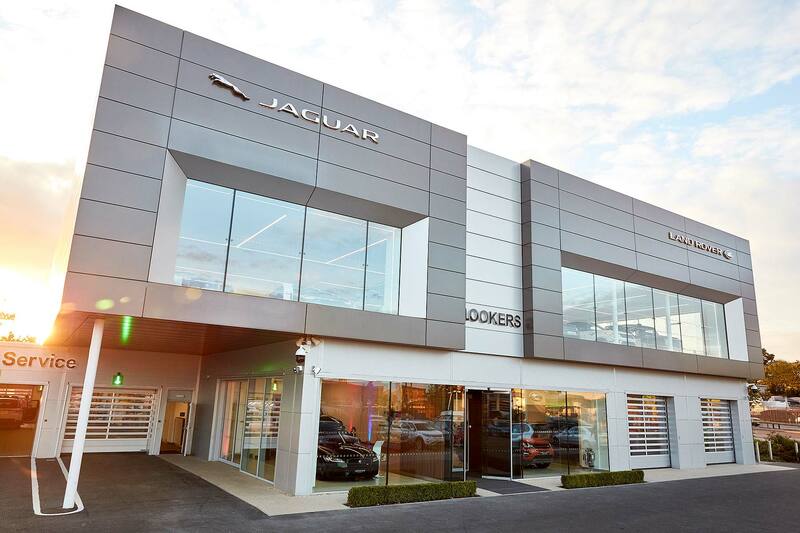 Jaguar Land Rover used the opening of the Lookers West London site to give the new Discovery its first UK showroom reveal, as a reward to the dealer group for its investment in the brand: the colossal multi-million-pound retailer site is certainly impressive. It’s taken 18 months to transform the site, a few hundred yards down the road from the famous Hangar Lane Gyratory, and its opening means the new JLR look will be seen by hundreds of thousands of people every day. In total, the new site can house 44 cars and includes a barista bar, business lounge, kid’s area, and comfy seats to lounge in. It produces its own power via a huge solar stack and the water used to fully detail every used car on the site is fully recycled. Customers don’t even have to face the elements when they visit: a special drive-in service bay automatically opens garage doors as they drive up, so they can hand over their car to a technician in the warm and dry. Andy Bruce, Lookers CEO, said: “Our new showroom is the result of a £12m investment into a brand that we really believe in. Our business is doing better than ever thanks in no small part to the incredible array of Jaguar Land Rover products on sale. 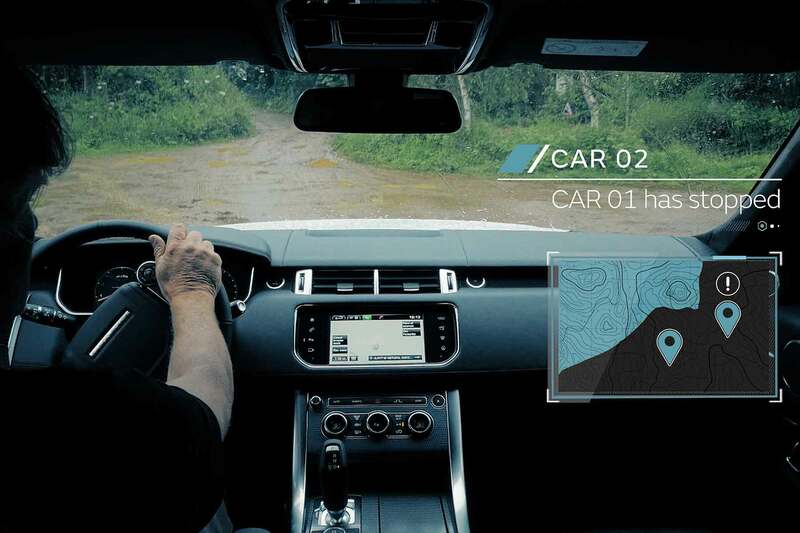 Jaguar Land Rover is working on advanced technology that will allow autonomous cars to offer self-driving functionality on all surfaces and terrains. The firm’s Autonomous All Terrain Driving Project will allow self-driving cars to work “in the widest range of real life, on- and off-road driving environments” such as grass, gravel, sand and snow. 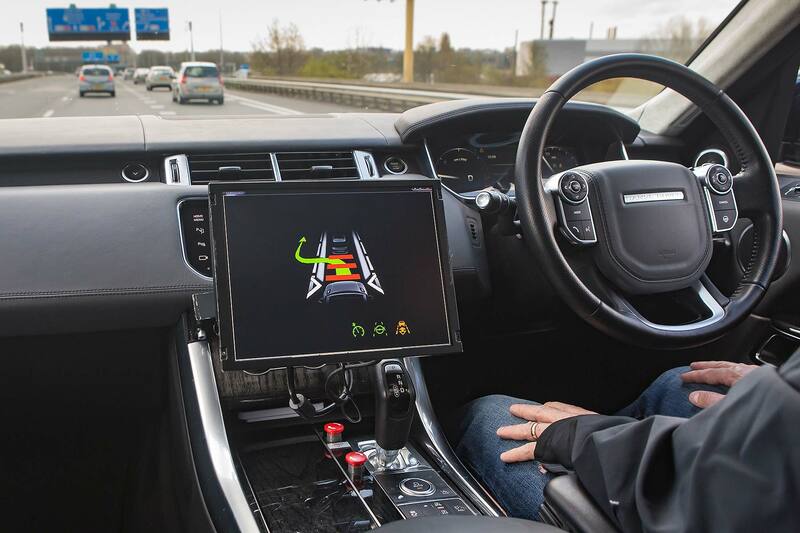 Current self-driving cars require quality surfaces and clear road markings to function correctly: JLR doesn’t want to limit future highly autonomous and fully autonomous tech to the tarmac. 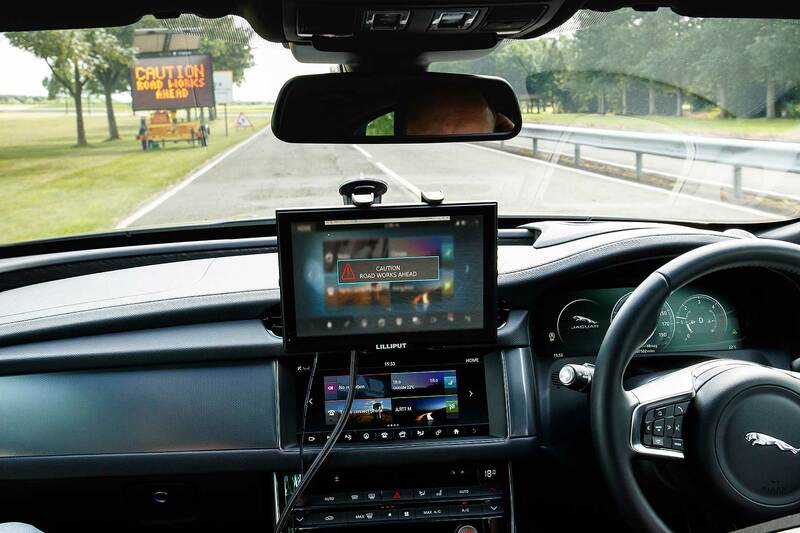 If you’re using self-driving tech on the motorway, reckons JLR, you should be able to use it all the way to your destination – even if it’s up a rough road or gravel track. And even if you don’t want the car to take over fully autonomously, it should be intelligent enough to give you educated suggestions about the best way to tackle what’s ahead. 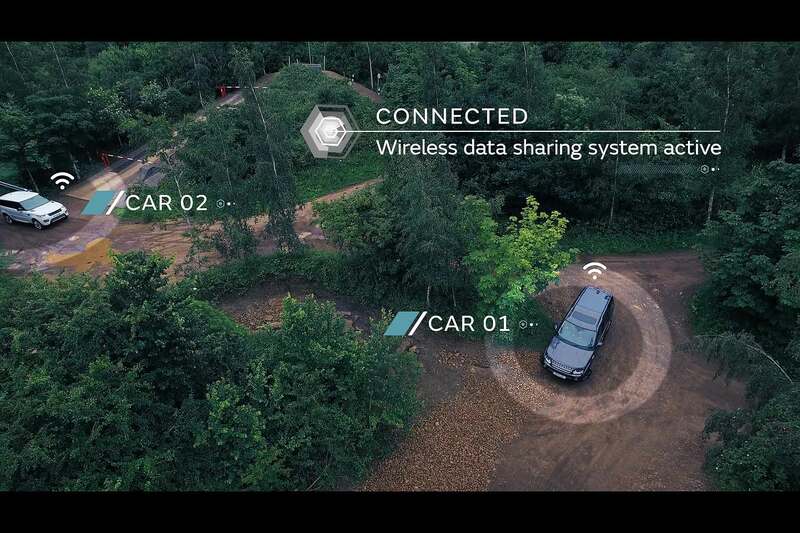 The project lends itself to the off-road focus of Land Rover, which has given a world-first demonstration of an ‘Off-Road Connected Convoy’: two vehicles hooked up via car-to-car technology, so the lead vehicle can send messages back to the second car, including which settings to use. Ideal for safaris, reckons the firm, when only the lead driver is likely to be an experienced off-roader. JLR head of research Tony Harper says the firm’s all-terrain autonomy research “isn’t just about the car driving itself on a motorway or in extreme off-road situations. It’s about helping both the driven and autonomous car maker their way safely through any terrain or driving situation. 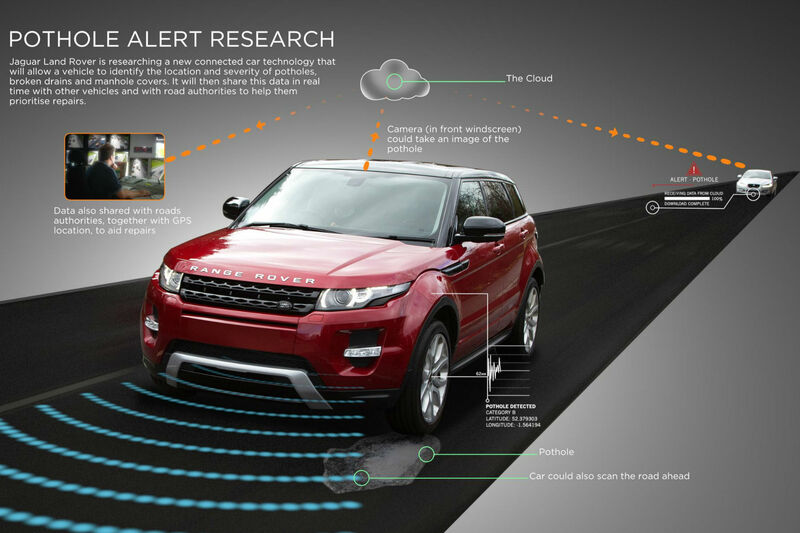 A new generation of autonomous sensors is required for JLR to achieve this, but the firm is working on them. They include ‘surface identification and 3D path sensing’, that links up camera, ultrasonic, radar and LIDAR sensors. This gives the car a 360 degree view, one so accurate the car is able to plot a route to a tyre’s width, even over rain and snow. The car scans five metres ahead so can react to any surface changes, slowing the vehicle if necessary. Such forward-scanning ‘terrain-based speed adaptation’ means the vehicle can also change speed if the road becomes rough and bumpy, making things comfier for passengers: it’s intelligent enough to know the potential ‘bumpiness’ of surfaces ahead so will always choose the correct speed. Jaguar Land Rover has signed a deal with Magna International for the firm to build cars for JLR at its Magna Steyr plant in Graz, Austria. The deal, for an unspecified number of future models yet to be announced, will ease pressure on JLR’s three at-capacity UK plants. The firm stressed UK factories were not at risk and this deal was to help expand the firm rather than move production away from Britain. “The UK remains at the centre of our design, engineering and manufacturing capabilities,” said JLR CEO Dr. Ralf Speth. Jaguar Land Rover opened its first modern overseas plant in 2014, in China. Construction is now underway on an all-new plant in Brazil. The firm also assembles cars in India, using parts shipped over from the UK. Last year, JLR built more than 460,000 cars – most of them produced here in the UK. Its plant in Merseyside has for several years now been running around the clock and its factory in Solihull has also for some time been runnign 24/7. What could Magna Steyr build for JLR? Speculation now mounts as to what Magna Steyr could assemble for Jaguar Land Rover in Austria. The firm is already a contract manufacturer for several premium brands; cars that are built or have been built there include the BMW X3, Aston Martin Rapide, Mercedes-Benz G-Class, Peugeot RCZ, MINI Countryman and Paceman, Chrysler 300C and Mercedes-Benz E-Class. 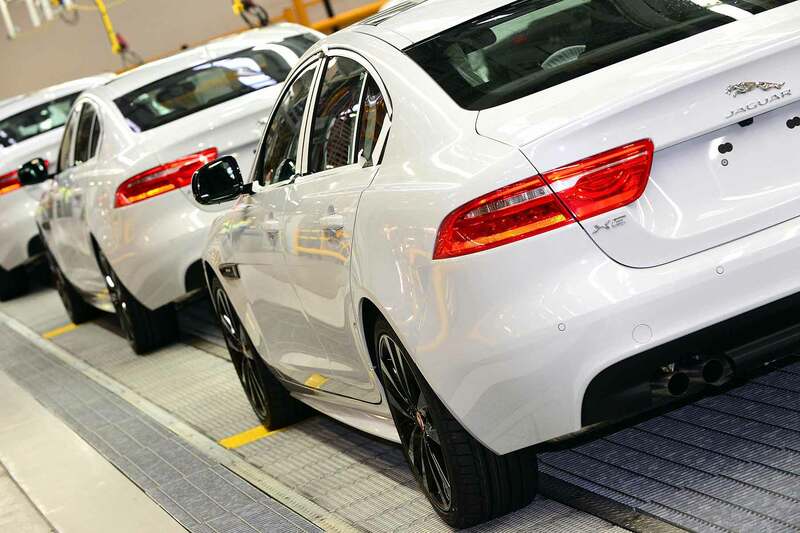 JLR’s new aluminium-intensive platform strategy is likely to keep high-tech Jaguars and Land Rovers in the UK, where facilities already exist. 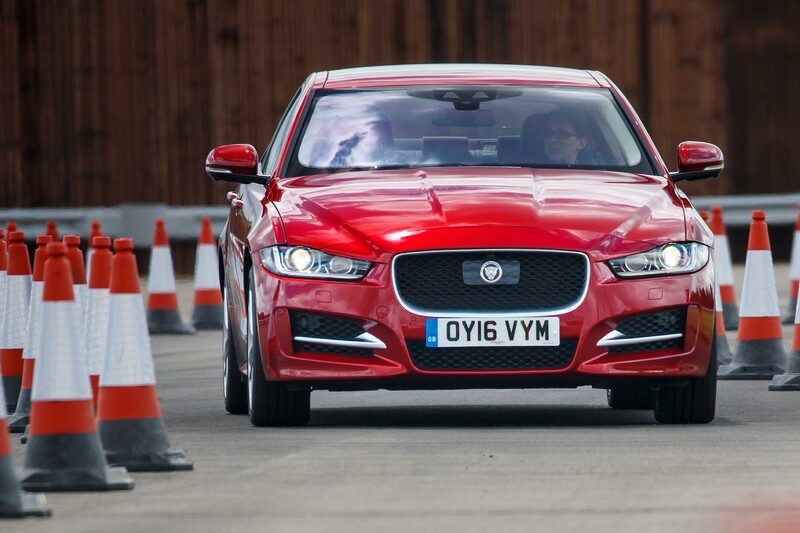 The new Jaguar XE, for example, is built at Land Rover’s Solihull plant, where aluminium facilities already exist. The Jaguar plant at Castle Bromwich is also all-aluminium and has capacity for more models: the Jaguar F-Pace is likely to be built here. But this leaves no room for future models – and, if they’re based on a cheaper and more conventional architecture, could be assembled elsewhere. The Land Rover Discovery Sport and Range Rover Evoque platform, currently made in Solihull, could easily be produced elsewhere, for example – its Ford roots mean such flexibility is already built in. Damage caused by potholes is estimated to cost UK drivers £2.8bn every year. But clever new ‘Pothole Alert’ technology from Jaguar Land Rover could help prevent punctures, wheel damage and even road accidents. 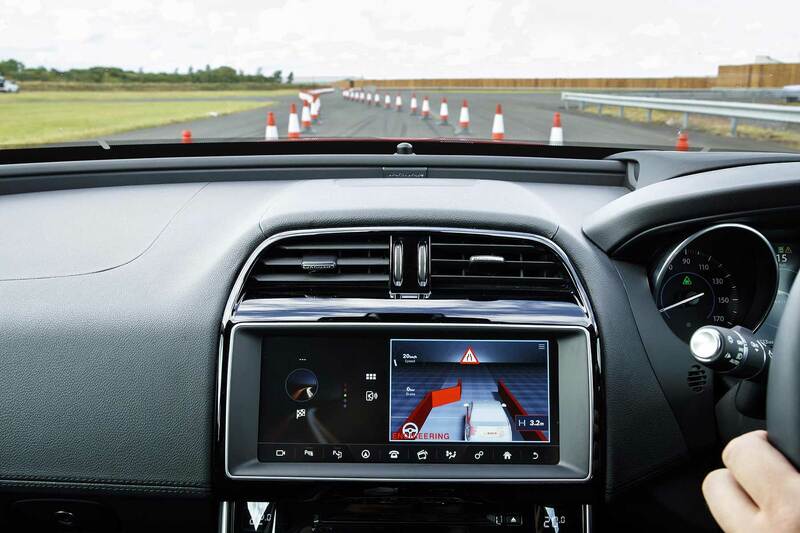 Currently fitted to Range Rover Evoque and Discovery Sport test cars, the system uses sensors to profile the road surface. It then adjusts the stiffness of the car’s MagneRide dampers to take account of potholes, raised manholes and other imperfections, giving passengers a more comfortable ride. The data gathered by Pothole Alert can then be shared with other road users via the cloud to build up an ever-changing map of road conditions. And JLR is also working with Coventry City Council, sharing the data with its road authorities and potentially speeding up the process of repairs. At the moment, the system is essentially ‘reactive’ to road conditions. But the next stage is to make it ‘active’ by using a forward-facing digital camera. Global Connected Car Director at JLR, Dr Mike Bell, explains: “At the moment the most accurate data comes from when the car has driven over the pothole or manhole. So we are also researching how we could improve the measurement and accuracy of pothole detection by scanning the road ahead, so the car could predict how severe they are before the vehicle gets near them.